The occasionally lachrymose but always compelling John Doerr of Kleiner Perkins has been a longtime and vocal advocate of all things green, both in Silicon Valley as well as in Washington, D.C., where he is an advisor to President Obama. Doerr has invested in some of venture capital's most famous successes (Google, Amazon, Sun) and in some less than successful efforts (GO Corporation, MyCFO, Segway). He has spearheaded KPCB's investment efforts in greentech to create a team of about 20 investment professionals and a portfolio of more than 20 greentech startups including Silver Spring Networks, Fisker Automotive, Bloom Energy, Alta Devices and Solexel. According to Doerr, China is investing ten times more than the U.S. on new clean energy as a percentage of their GDP and his conclusion is that "China is winning." 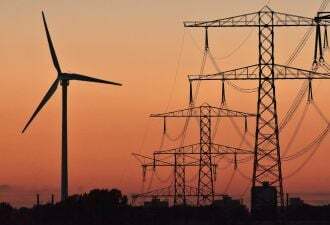 He said, "China will be the largest wind manufacturer, with 120 gigawatts of wind by 2020. China went from two percent to 50 percent in solar within a few years." He added that, "I believe as a red-blooded American capitalist -- we cannot let this market pass us by." "The only way we accomplish what we want to accomplish is by using capital markets," he suggested. One thing that really intrigues Mr. Doerr on the technological side is the prospect of discovering solid-state ways to be disruptive in energy storage -- in other words, the supercapacitor. Whether Doerr is referring to stealth, mystery portfolio firm EEStor or another supercapacitor firm remains to be seen. Doerr said that he's learned that energy is not an industry -- it is many, many industries with many different market structures. His firm didn't have a clear sense of how long it would take -- it has been nine years since they wrote the first check to Bloom Energy, their first clean energy investment. 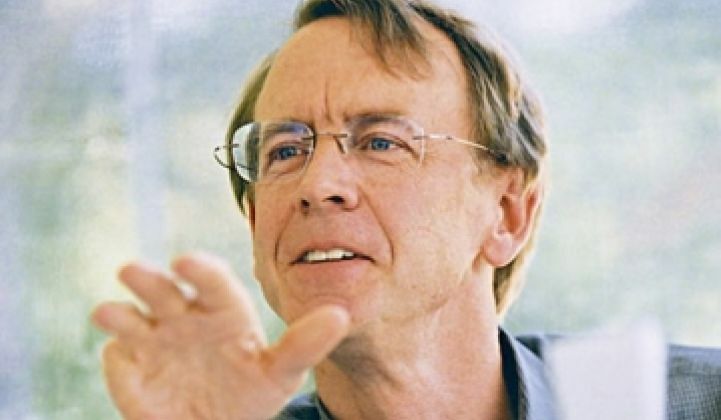 What John Doerr is looking for in the clean energy world is "the Netscape moment," the event that fires people's imagination and creates massive entrepreneurial ecosystems. Fellow panelist and former KPCB partner Vinod Khosla thinks that this could be the year that happens.